1. Select the Job you want to kill from the Vectorize/Render Queue window and click Delete. 2. Right-click the Windows task bar and select Task Manager from the pop-up menu. 4. 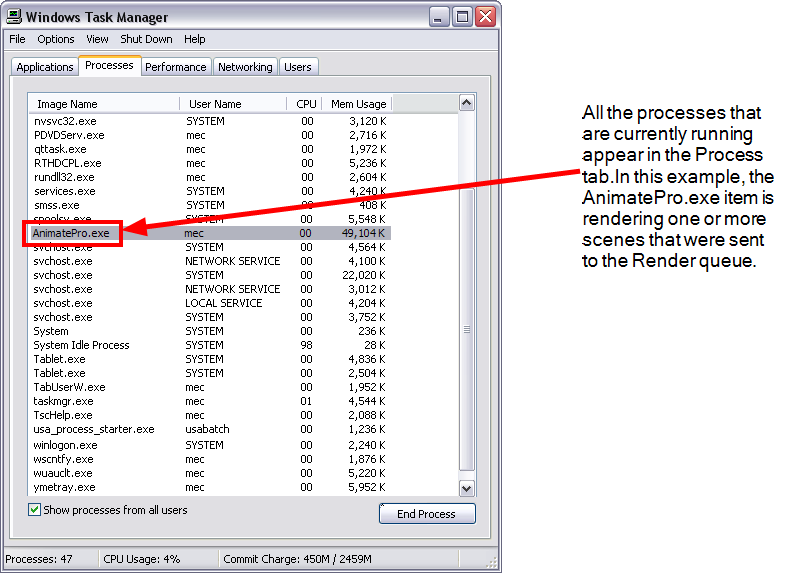 Rendering or vectorizing launches a process named AnimatePro.exe. Locate it and select it. 5. Click theEnd Process button.